This is one of my earliest photos of my Rescued Hen friends, Hurt Hen on the left, Whole Hen on the right. You can see Black Chick tucked away at the back, barely visible behind the larger hens. The first two of the Rescued Hens, theres now Curious Hen and Geiger Hen too. Such a tragic photo showing what we've done to these nice birds, growing up on an "egg farm", seen as a thing, as property, as living stock ("livestock") rather than a someone, as our hen friend. The flowers around them on a warm Southland summer day show that they are still beautiful on the inside, for who they truly are, not how they look on the outside. I've always liked the idea of letting the Chickens have *their* own names, not naming them as such, but referring to them with nicknames for convenience. 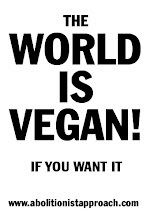 They've lived as prisoners for practically all of their lives on the farm, now I'll let them be who *they* want to be. I called the first two Rescued Hens their nicknames based on how they looked and behaved, "Whole Hen" was mostly whole, with all her feathers. 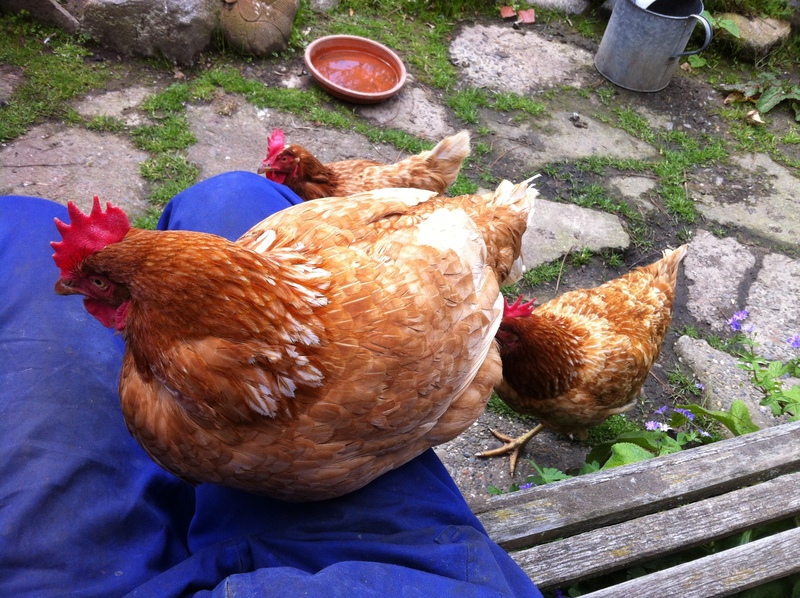 "Hurt Hen" had had many of her feathers taken away due to how she was forced to live. She had practically no feathers on her neck, her wing feathers were "busted" to say the least, deformed and horrible to see, they must have been horrible for her to live with. 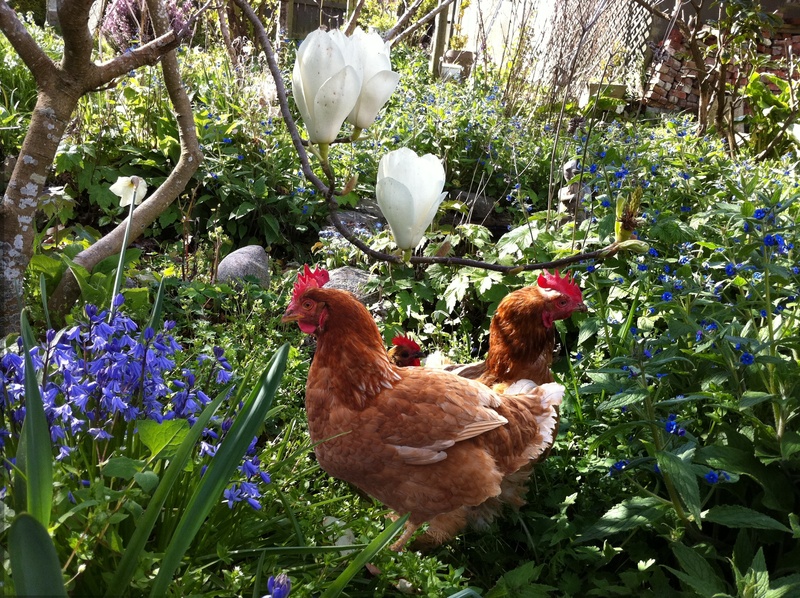 The "Rescued Hens In Flowers" photo was taken on the 28th of September 2011. Below is a photo of "Hurt Hen" taken on the 16th of August 2012, basically a year later, look how she has healed, her neck, her tail, her wings. 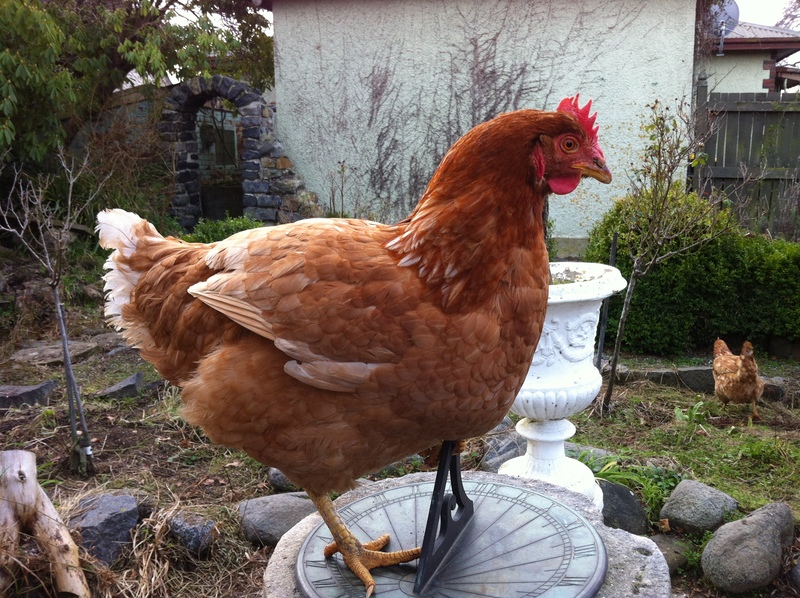 These two photos show different sides of "Hurt Hen", the first photo in the flowers shows her left, this photo on the sundial where I take my Vegan food photos shows her right side. Nevertheless, she was and is in similar condition on her entire body. Nearly unrecognizable, what would she say if she could somehow meet the past/future her? George Orwells book "1984" has a similar scenario, where Winston is tortured, detained inside The Ministry Of Love, and while he knows he has wasted away, his body has lost all its strength, he had not SEEN how he looked.....until he is shown his body in a mirror, where his torturer casually snaps out a rotten tooth from his mouth to show just how wretched he has become. 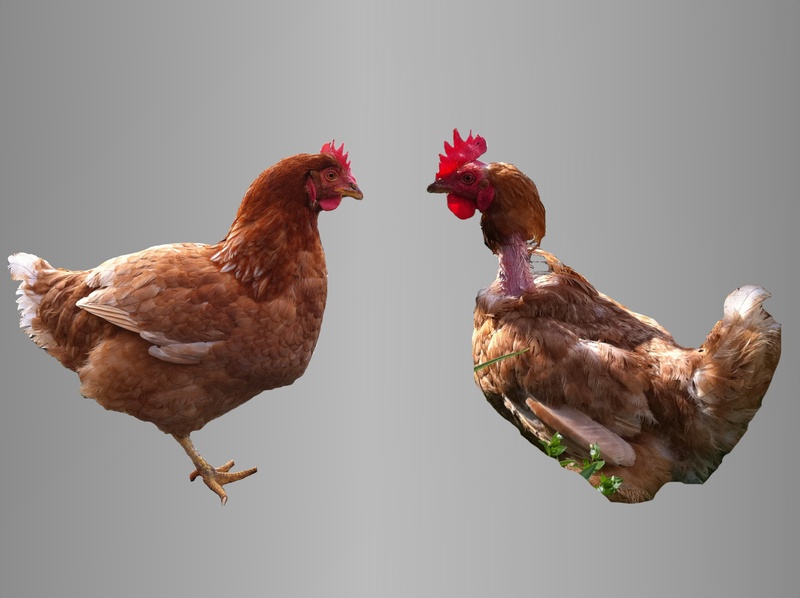 Note: Chickens comb and wattle (the fleshy skin that grows on above their head, below their head) serves as a radiator, when they are in a very hot area, they tend to grow very large, to cool their bodies down. When in bad condition, sick and especially near death, their comb (on top) often actually wilts and flops down. This happened to Yellow Hen both times when she had been attacked by Cats and left for dead (shes safe now, saved by Vets each time thankfully), and to this day Geiger Hen has a flopped over comb on top of her head from being so ill growing up on a farm. This blogpost on "Mountain Garden Gleanings" explains comb change over time well, with photos. Hurt Hen's comb and wattle have shrunk over time! I think its time "Hurt Hen" had a new nickname. I'm thinking of "Home Hen", because now she is home, in a forever home where she will never be hurt again, where she can live free, as herself. Love the changes in your sweet girl! Thank you for caring for those who can't care for themselves and are often mistreated. Take care.